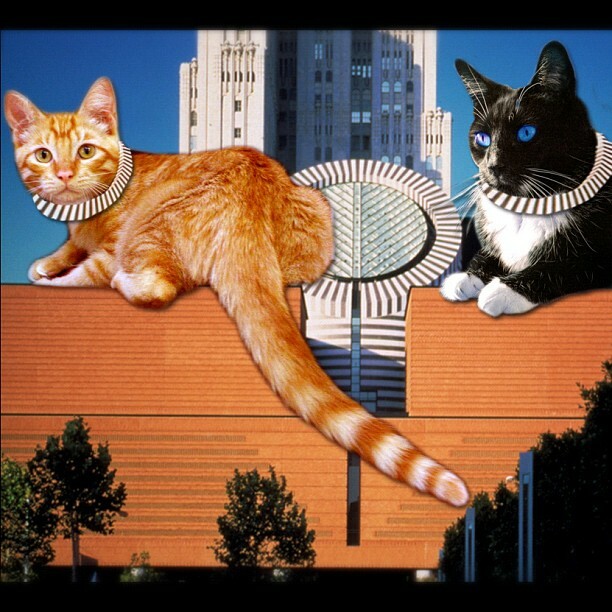 On a lighter note, some of the thesis students here at Wurster Hall went stir crazy over Spring Break and have been developing a trove of Architectural LOLCATS. You are welcome to join us and submit your own Architectural LOLCAT at the following tumblr page, and suggest your own captions! Libeskitten finds out the hard way. 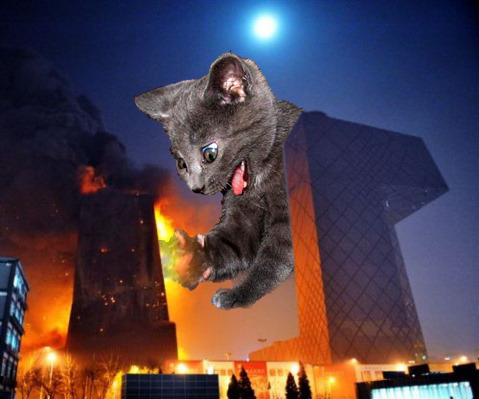 Kickboxing Kitty in Prague permanently deforms elastic curtain walled building. This is exponentially better than any school choice thread. Thank you. Yes -- thanks. I'm a cat lover -- or at least I tawt I was . . . The Libeskind especially made me laugh, and my only tweak would have been to Steven Holl - nominating Kiasma in Helsinki for 'Kiasmeow". So incredibly awesome! I want to make one now! This is too funny, reminds me of the old 'nect. Hilarious! The shear quantity reveals an obsession, like some Architectural Spinster. Brittany, you can make a loldog version. I'd really enjoy that. Hilarious! I just made a fool of my self by bursting out laughing in the office. I'm going to have to find time to contribute. This is a total misuse of photoshop. And a pathetic waste of many good puns. Anybody that likes these must be stupid, yo! The Lebbeus Woods one is fantastic. // Blogs - The New Manifestoes?